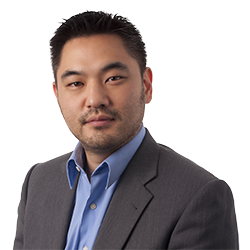 John S. Hong | Littler Mendelson P.C. John represents employers in state, federal and administrative courts, including the California Labor Commissioner, the Department of Fair Employment and Housing, the Department of Labor and the Workers' Compensation Appeals Board. In law school, John was managing editor of the University of San Francisco Law Review. He participated in the Robert F. Wagner National Labor and Employment Law Moot Court Competition in New York and won Best Oral Argument in the school-wide moot court competition. San Francisco Employees, Do You Know Your Scheduling Rights? Can Blogging and Employment Co-Exist? 2014 Summer Spotlight Series Women in Leadership: Marie Oh Huber, SVP and GC of Agilent Technologies, Inc.